Savor the flavors of New Orleans' great restaurants and celebrity chefs year-round by adding one or two of these cookbooks to your collection. While there are hundreds of New Orleans cookbooks out there, these are some of our favorites. Plus, they make great gifts! 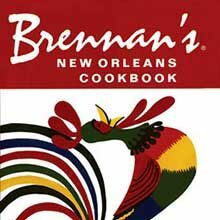 Bring home some of Brennan's favorite recipes including Eggs Hussarde, Eggs Sardou, Oysters Rockefeller, Turtle Soup, Filet Stanley, Veal Grillades & Grits, Bananas Foster, Brandy Milk Punch and 142 more! 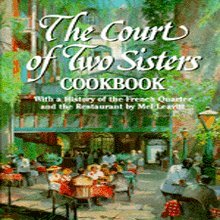 This cookbook features a variety of recipes straight from Court of Two Sisters' kitchen. Bonus: The book also contains visually stunning photographs of the French Quarter and the restaurant throughout history. 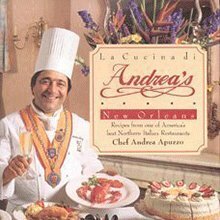 Chef Andrea Apuzzo shares the recipes that made Andrea's the city's first five-star Italian restaurant in this classic cookbook. He combines foods local to New Orleans with the taste of Northern Italy and the result are a dishes that delight the taste buds. The King of Cajun Dine and Dance wants you to bring Cajun country's proudest traditions home. Try your hand at some of their signature recipes like blackened alligator, crabmeat stuffing, Zydeco Gumbo, homemade bread pudding, and more. 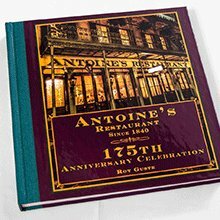 In honor of their 175th Anniversary, Antoine's has come out with a new book. 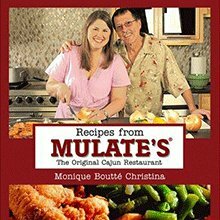 This treasure is a compilation of New Orleans culinary history, original Antoine's recipes, and a thorough exploration of Antoine's rich history. 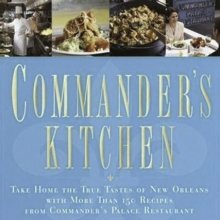 Take home the true tastes of New Orleans with more than 150 recipes from Commander's Palace Restaurant, a New Orleans landmark. Let the good time roll while you're cooking up classics like Shrimp and Tasso Henican, Eggs Louis Armstrong, Pan-Seared Crusted Sirloin Steak, Braised Lamb Shanks and four types of Gumbo.